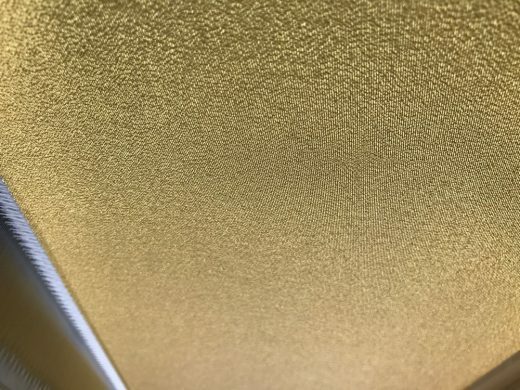 Therapist unveiling 210,000AED gold-encrusted PILLOW at INDEX Dubai. 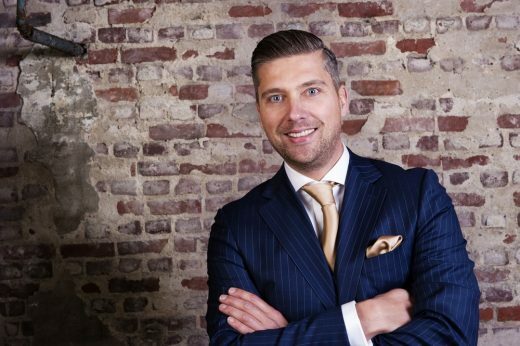 Thijs van der Hilst – neck specialist and now inventor – will be unveiling the world’s most expensive pillow at next month’s exhibition. April 24, 2017 – Dubai, UAE: A physical therapist turned inventor is promising a lifetime of perfect sleep to those willing to splurge more than 200,000AED on his gold-encrusted PILLOW. 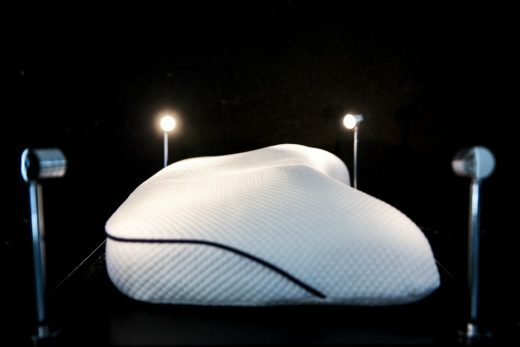 Neck specialist Thijs van der Hilst believes the 15 years he has spent developing the 210,000AED (US$57,000/GBP£44,500) Tailor Made Pillow has enabled him to create the ultimate sleep-aid for anyone struggling with their slumber. Using 3D scanners, printers, a complex mathematical algorithm, Mulberry silk, Egyptian cotton and a splash of 24 carat gold, the cervical expert’s dedicated team of craftsmen hand-stitch a pillow perfectly moulded to the sleeper’s head, neck and shoulders – creating an incomparable “feeling of weightlessness” when they settle down for the night. 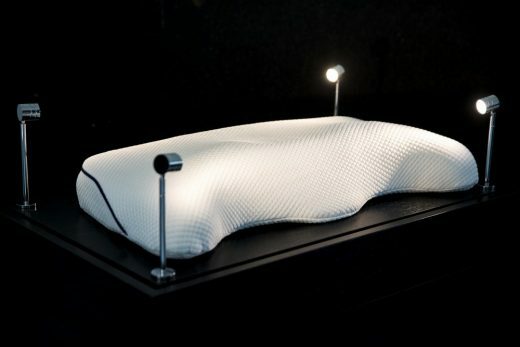 Befitting its ultimate extravagance, ‘the world’s most expensive pillow’ will be unveiled for the first time in where else but Dubai this May, when Thijs showcases the debut prototype at the INDEX Design Series interiors exhibition. He said: “As a cervical specialist I used to advise my patients to buy a good pillow. But what is the best pillow for which patient, I asked myself. If there are three sizes of pillows available, which one would fit the best? As our feet are all different, so are our shoulder heights and neck lengths. And the sleeping position varies person to person. Everyone is unique – so the pillow should be too. “With our portable scanner, we offer 3D scans for clients around the world. Once we have the scan, we use our in-house algorithm to calculate and draw the right pillow. This 3D drawing is then imported into our robotic milling machine which makes the pillow out of non-toxic Dutch memory foam. That golden fabric makes up both sides of the sleep-aid, while its zipper comes studded with no less than four diamonds and a huge 22.5ct sapphire. Heading out for the night? Then pack it in its custom made Louis Vuitton case and you’re bed ready no matter where you go! Set to be unveiled at INDEX – the Middle East’s biggest annual interior design show – Thijs will be on hand with his 3D scanning equipment ready to size-up any struggling sleeper. After dissecting exactly how each person lays at night – on their side, back or stomach – the complex mathematics are done and the results sent off to his Holland-based team. Weeks later, a unique, personally-embroidered pillow will be hand delivered to the door of those deep-pocketed enough to splash out. Samantha Kane-Macdonald, director at INDEX, said: “The Tailormade Pillow is easily one of the most highly anticipated products we’ve ever had at INDEX, let alone been given the honour of being the international launch pad for. With more high-end exhibitors amongst the show floors’ 800 stands than ever before, the INDEX Design Series is promising a style experience like no other in 2017. 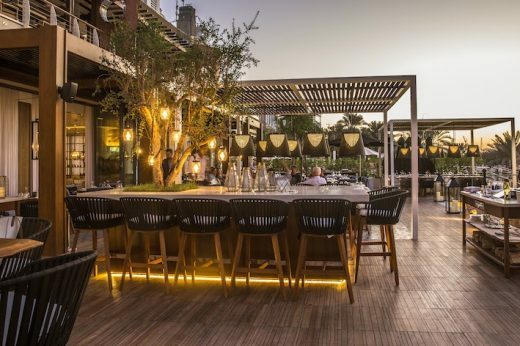 The four-day show – running May 22-25 at the Dubai World Trade Centre – will explore Design for the Senses; furniture, furnishings and décor that not only stimulate visually, but trigger a sensory feast – bringing design to life. 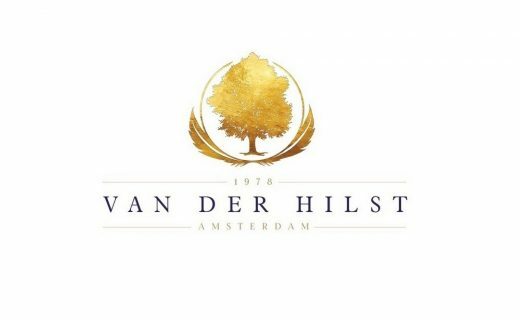 The show, this year set in a lush forest environment, will welcome many of the world’s most exclusive home brands and is promising to be the design event of the season.